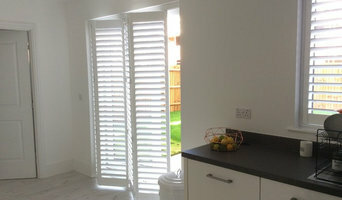 We specialise in the supply and installation of interior shutters. We pride ourselves on providing an excellent product with great customer service and offer a complimentary, no obligation survey. As a company, we aim to meet the highest standards of corporate governance and this commitment to maintaining good ethical standards is the responsibility of our Managing Director who is a qualified solicitor of over 16 years’ experience. We do not outsource any of our work and all of our experienced surveyors and fitters work for Love Shutters UK. Our personnel have supplied and fitted literally hundreds of shutters throughout their career. We are passionate about our products and our customer care. We hope that your experience of working with us will reveal this and that you will be pleased with the whole experience of having chosen Love Shutters UK - contact Phil to find out more! We are local, specialist designers and installers of beautiful plantation shutters. Offering a design and installation service tailored to meet your needs, we are determined to offer you the very best in customer service and satisfaction! Our extensive range of stunning shutters look and work beautifully to transform any room. 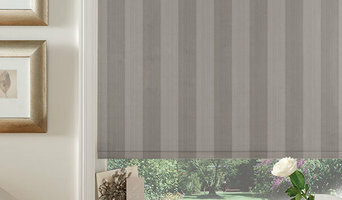 Blindsuk.net is the largest retailer and manufacturer of made to measure window blinds and curtains in the UK. Over the course of our long existence online, more than 10 years now, we have always strived to bring high street quality and designs into our customers' homes, at unbeatable prices, benefiting from frequent discounts. With over 4,000 models on sale, easy online assistance through measuring and installation instructions and excellent before and after customer service, www.blindsuk.net is hands down a sure recommendation when it comes to high value soft furnishings. Most of our blinds are made to measure and manufactured in the UK from sturdy parts and durable fabrics, to perfectly fit any home or office window size. www.blindsuk.net also offers free samples, free mainland UK delivery for orders over £99 and a standard guarantee of 3 years. Shuttercraft Worcestershire design, supply, and fit plantation style window shutters. We are trusted across the Worcester area to provided only the best shutters and blinds for a range of interior design choices. Whether you are looking to achieve a classic or more contemporary look, you’re guaranteed to find something you’ll fall in love with for your window, door or opening. Each shutter and blind we supply is individually crafted, made just for you based on your design choices and our experienced and accurate measurements. Whatever the shape or size of your window or interior space, you can find a shutter that is right for you. Established in 2005 and with a workroom situated in the lovely countryside of the Herefordshire/Worcestershire borders, we specialise in bespoke soft furnishings for the home and commercial properties. Our aim is to deliver a friendly and efficient, quality service to all our customers whether their project is large or small. Bromley Interiors make bespoke hand made soft furnishing for people to realise their dream home. We make; curtains, Roman blinds, pelmets, headboards, bed valances, cushions, lampshades, supply shutters and organise upholstery. We also supply designer fabrics: Voyage, Moons, Prestigious Textiles, Romo, Harlequin, James Hare, Clarke & Clarke, Villa Nova and many more. Capricorn Blinds is a family business based in the vibrant Parkgate retail and leisure complex in Shirley, and has since our establishment in 1984 provided customers across the West Midlands with beautiful made-to-measure window treatments. Our in-house manufacturing team and installation engineers are trained to the highest standards using the latest technology and machinery available. Our philosophy is to provide our customers with high quality products at affordable prices, complimented with a professional and friendly customer service. Our products range also includes shutters, venetians and curtains. If you can dress your window with it, we’ve got it! We also specialise in motorised solutions so you can make the most of your stunning views by a simple touch of a button from your phone or tablet device. We are a long serving member of the British Blind & Shutter Association, so you are safe in the knowledge that we are operating to the highest standards of quality and workmanship with the back-up of the only national trade association for window blinds, awnings and shutters. Any work we carry out is in accordance with the BBSA’s code of practice. Based in Shirley, we cover the whole of the West Midlands region inlcuding Birmingham, Solihull, Sutton Coldfield, Coventry and surrounding areas. If you are after a commercial solution, our experienced Commercial team cover nationwide. Established in 1988, English Blinds are suppliers of luxury made to measure window blinds and curtains at affordable prices throughout the UK to the public, trade and commercial sectors. All products are manufactured in-house using only the finest components and luxurious designer fabrics. Visit us at www.englishblinds.co.uk to view our beautiful range of curtains and blinds. I have 30 years experience in working with fabric and soft furnishings. I specialise in delivering a high quality product for my customers. I can help you however small or large the opportunity. I can work with a customer who has already selected their material and supply their own measurements for one blind or one that requires help choosing fabric and style for blinds, curtains and accessories for an entire house. A small and bespoke soft furnishing company based in the heart of the West Midlands. As well as having access to major fabric producers we also source our fabrics from independent designers where possible. Everything we do is unique to each and every one of our customers and we pride ourselves on our dedicated and personal service. Get the best soft furnishings in Lichfield from one of the most widely acclaimed fabric shops in the Lichfield. Established for more than 25 years, Intuition provides the complete interior design experience. Our customers will always be nothing less than delighted with the extensive selection of tailor-made curtains, fabrics and soft furnishing that we have on offer. Avosdim is a supply-only window treatments specialist providing a quality range of continental roller shutters, fly screens and indoor blinds at factory prices. We offer made to measure as well as DIY adjustable solutions, along with a range of spare parts for all upgrade and maintenance requirements. Curtain makers, retailers and designers in Birmingham, West Midlands can work wonders with pieces of fabric, while fitting blinds or shutters can be tricky to do yourself, so it’s definitely a wise idea to hire a window dressing professional in Birmingham, West Midlands who can design, make and/or fit bespoke blinds, curtains or shutters for you. Whether you want sleek roller blinds for your home office, roman blinds for your kitchen, venetian blinds to smarten up your living room, plantation shutters for your bay windows or delicate voile curtains for the bedroom, there will be Birmingham, West Midlands curtain makers, blind fitters or shutter company to help you with your ideas on Houzz. A curtains, blinds or shutters company in Birmingham, West Midlands will first be able to advise you on the style of window dressing that will work with your windows and rooms. If you have an idea or design in mind for your window dressing, then discuss this with any potential experts, such as curtain makers in Birmingham, West Midlands, to see if your design and style is possible. You will need to work closely with them if you are planning on having custom curtains, bespoke blinds or shutters created. Curtain makers will be able to turn most fabrics into curtains, so if you’ve found a pattern or fabric you like already, present this to your Birmingham, West Midlands curtain makers and they could be able to turn it into curtains for you. Even when clients don’t have certain fabrics in mind, curtain makers can suggest fabrics based on your style and the rest of the room’s design. They can pick out the right weight, thickness, length and pattern that would suit your room. Curtain retailers in Birmingham, West Midlands will offer a huge range of readymade curtains, or curtains that can be adjusted or made to order. Contact Birmingham, West Midlands curtain retailers if you’d prefer to choose from a large selection of ready-to-go curtains; whether they are high-end designer curtains or just plain white curtains; rather than waiting for some bespoke designs from a curtain maker that may take a bit longer. You may find that curtain makers in Birmingham, West Midlands also offer a stock of ready-to-go curtains, too, but always double check with the professional first. Once you’ve decided on a design, curtain makers, blind fitters and shutter professionals will usually measure your windows or doors to ensure a good fit. If you are having blinds or shutters made then it will probably be best to have them professionally installed, too. Blind fitters and shutter companies should offer this service with their products as blinds and shutters need to be firmly fixed to the windows; something that most homeowners don't know how to do themselves. Although roller blinds and Roman blinds can be fairly simple, vertical blinds and Venetian blinds can be a bit more complex, and if you want remote controlled blinds that operate with the touch of the button, then you definitely need to call in the Birmingham, West Midlands blind fitters. Plantation shutters are substantial window dressings and need careful measurements and installation, so it’s really best to leave the measuring, design, manufacture and installation to a professional Birmingham, West Midlands shutter company. Blind fitters, shutter companies and curtain makers in Birmingham, West Midlands should also check the insulation of your chosen window dressing and make sure there are no potential hazards once fitted. Finally, they should confirm with you that your curtains, blinds or shutters are functioning as you’d like them to before finishing the job. What should I ask Birmingham, West Midlands curtain makers, blind fitters and shutter professionals? Find curtain makers, blind fitters and shutter professionals on Houzz. Narrow your search in the Professionals section of the website to Birmingham, West Midlands blind, shutter or curtain maker professionals. You can also look through photos to find examples of Birmingham, West Midlands window dressings that you like, then contact the curtain retailers, blind fitters, shutter professionals or curtain makers in Birmingham, West Midlands who worked on them.